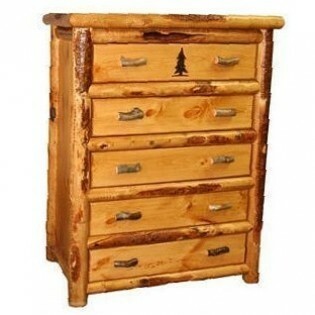 The Premium Five Drawer Log Chest is made from solid lodge pole pine with natural bark trim and a hand carved design on the top drawer. 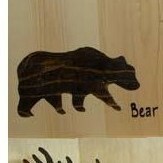 Choose from a bear, deer or pine tree (shown) carving to match the designs on our log headboards. It is finished with an durable oak stain.